Share an Idea: Keep em’ coming! View the great ideas submitted thus far and share your own! Use this form to share your ideas and experiences relative to Downtown Glencoe. Scroll down to view comments and ideas submitted thus far! For those who would like their comment to be posted for public viewing, please allow 24 hours for such to appear on this page after clicking submit. I second the idea for a movie theater and ice cream shop! I second the suggestion for a proper brewpop! Glencoe needs unique retail shops and more entertainment establishments, i.e. an upscale and quaint movie theater that serves food and drinks; wine bar with music; concerts in the Village on the Green; high tea for daytime socializing. I agree we have too many dry cleaners and nail salons. I think Glencoe needs more restaurants and places that stay open in the evenings, a jazz bar, an ice cream cafe, etc. I think we need to better advertise Glencoe events to residents. If people don’t visit the website looking for upcoming events, and aren’t signed up for a newsletter, they may not know about what is going on in their own town. For instance, the sidewalk sale. There is an event announcement sign at the southwest corner of Park Ave & GBR, but I find it to be too small of print to read from my vehicle when driving through that intersection.My idea is to have a 2 sided banner hang at the stop light so that anyone driving on GBR would see it. Winnetka seems to do this for their events. Without their banner, I would never know what is going on there. I know it is kinda ‘in your face’ but we busy beings need that these days.I really loved the food trucks that came to town for the annual bike race! I had some really yummy gumbo and corn bread this year (2015). Is it possible to have one or two food trucks come to Glencoe on Saturday or Sunday afternoons or evenings. And have different trucks come each week. It would be a great way to bring some food variety to town! I really loved the food trucks that came to town for the annual bike race! I had some really yummy gumbo and corn bread this year (2015). Is it possible to have one or two food trucks come to Glencoe on Saturday or Sunday afternoons or evenings. And have different trucks come each week. It would be a great way to bring some food variety to town! I think Glencoe should have a movie theatre. It would be fun for family to get out of the house to go to the movies just right across the street. I was so happy to see the brick pavers getting power-washed on Thursday.. Unfortunately they are still salt stained. I’d be willing to research if there is a way to get the salt stain off and also if there is a way to avoid the stains in the future. I assume this would involve a conversation with the paver manufacturer. Increase the speed limit on Green Bay road in Glencoe to 35 mph. 30 mph is way to slow and hard to maintain a consistent speed at that level. The rest of Green Bay in Highland Park is at least 35 mph and it is far more residential. 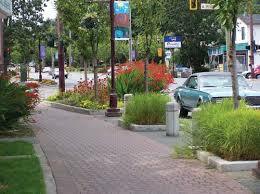 Use more green infrastructure to create both landscape methods to reduce stormwater flooding, and beautiful places. There are many nooks where this can be implemented as well as larger open spaces. There is a lot of grant funding for these approaches as the EPA recognizes these approaches yield cleaner rivers and lakes. The premise is simple, reduce the impervious area, increase the landscape area, and direct water into the landscape to infiltrate water. This keeps floodwater out of sewers, and returns a more natural hydrology. Recognizing parking is an issue, are there ways to shift local trips from vehicles to walking, biking or other human powered mobility options?Simple moves to mark roads, create safety and promote awareness could lead to many stacked benefits to our community: health, road maintenance, pollution, noise, etc and encourage more commerce by attracting Green Bay Trail users into Glencoe. This is NOT your typical permeable system. It has the highest infiltration rate ofanypermeablesystemanddocumentedthird party maintenance results. It can be installed as a mattress system or by hand and is a modular system that can be removed, replaced and maintained without the use of specialized equipment or labor. Several projects have been installedforyearsinNilesandGlenview. Multiple cities around the Midwest including South Bend, Goshen and Indianapolis, Indiana and Shoreview, Minnesota are adopting this revolutionary technology. It can also be heated to eliminate or drastically reduce the use of salt and eliminate ice slippage and liability. Examples of shared workspace/art centers. Shared creative workspace in Glencoe. Place to meet, to make art, and other creative pursuits. Also could rent for special events. Not fancy. THE GLENCOE NEWS recently reported the following comment made by an invited panelist at the Glencoe Plan Commission meeting pertaining to the proposed design of Writers’ Theatre: “I think it is inconsistent with what the town is …..It’s enormous, it’s white and it will be seen in every direction.” THE GLENCOE ANCHOR implied that in response the Commission established a goal for The Downtown Tune Up of “updating the design guidelines to ensure the existing cohesiveness is maintained” It is suggested that the Plan Commission wishes to assure that there will never again be another building allowed in Glencoe such as that by world-renowned architect Jeanie Gang for WRITERS’ THEATRE.Glencoe has a wonderful and proud tradition of diverse architectural styles, which greatly enhances its charm and appeal to both visitors and residents. My opinion is it would be a great mistake to create design guidelines that would create uniformity or otherwise stifle future worthy innovative architectural design in the downtown or elsewhere in Glencoe. Add a movie theater, less banks and dry cleaners and more restaurants and shops. We have an awesome quaint town. Walking a block or two into town occasionally seems quite reasonable as more parking will detract from the charm we currently have. Glencoe residents could really benefit from a park district pool and a few family brewpub style restaurants like mikey finn’s in libertyville. 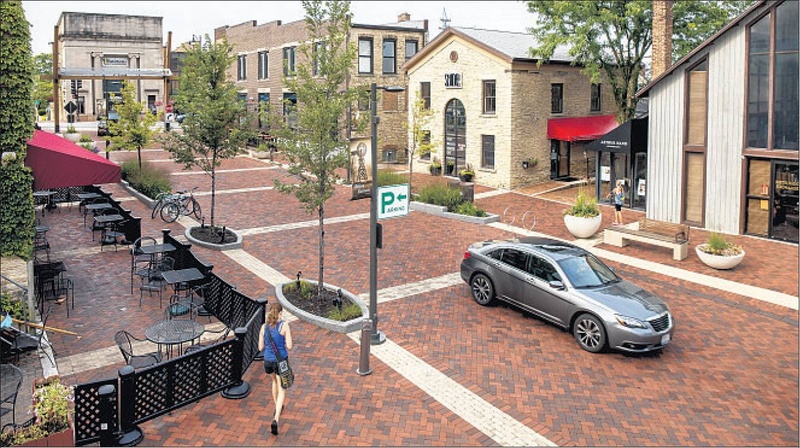 How about the plan Batavia just completed – a woonerf (pronounced VONE-erf), a zone that’s free of parked cars, where everyone shares a curb less area. See Blair Kamin’s article in the August 28 Tribune. Think of sitting outside Starbucks or Apple a Day enjoying a meal without staring at the front grills of a bunch of cars! There are barely any activities to do in Glencoe when it’s raining, so we should add a movie theatre! A movie theatre would be perfect so family’s could have an hour or two to watch a movie and get out of the rain. My family goes to movies a lot, but we have to drive to a place 15mins away, but if we had a theatre here, it could 5 mins to WALK. I am not talking about a crazy big movie theatre, I am thinking about a 1 screened movie theatre with a concession stand and, the movie theatre is right in town.. Mabey around the police station. Wandering around the streets behind the main parts of downtown Santa Barbara we found some wonderful surprises. 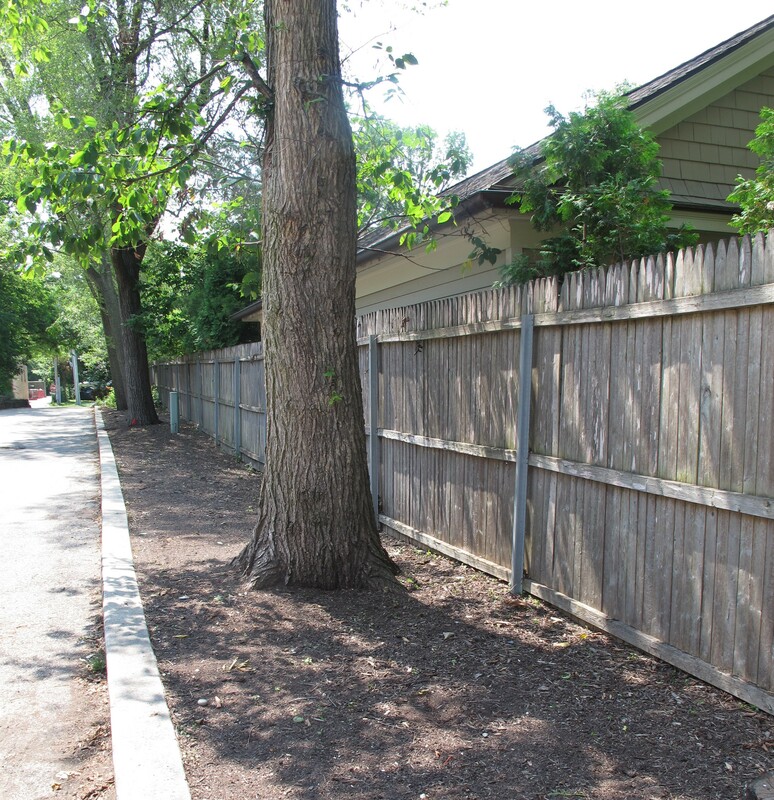 How about making a pocket prairie on the mostly vacant strip of land that runs parallel to the alley on the south side of the Weinike Court development out to Hazel? I am assuming that Friedman Properties owns this parcel but I also think they might be agreeable to an idea of this nature. 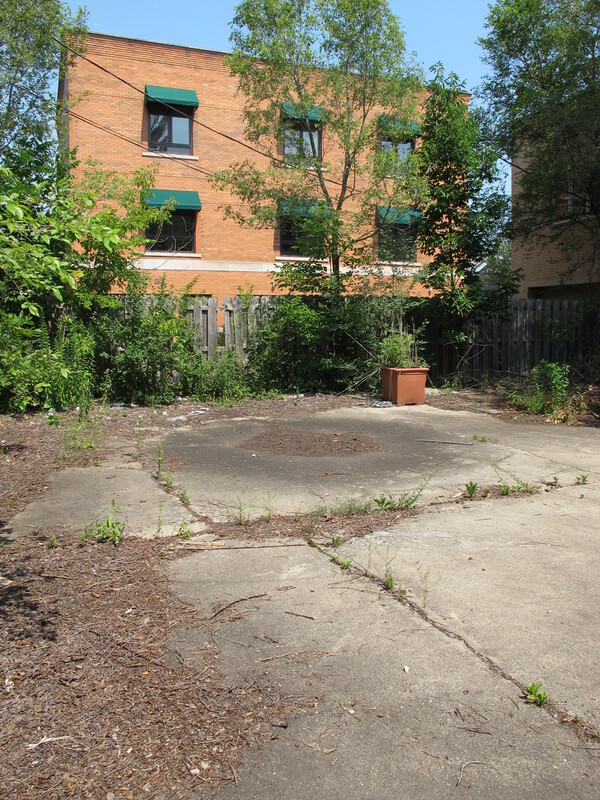 The lot behind the Art Store and Gallery and Books on Vernon has been an occasional set building area for Writers Theater. But once Writers Theater fully moves to the library club site, that area could become a garden or pocket prairie attracting bees and butterflies, possibly even produce for nearby restaurants. Residents in the adjacent Weinike townhouses and Hazel apartments would greatly benefit as well. Currently it’s pretty unsightly. I think the commercial balance could be greatly improved. Downtown has too many dry cleaners, beauty/nail salons, and banks, and not enough restaurants or retailers. Downtown Winnetka and Highland Park have a better balance. To the extent people think parking is a problem, additional street parking could be added on Park, West of Vernon. There is barely any activities to do in Glencoe when it’s raining, so we should add a movie theatre! A movie theatre would be perfect so family’s could have an hour or two to watch a movie and get out of the rain. My family goes to movies a lot, but we have to drive to a place 15mins away, but if we had a theatre here, it could 5 mins to WALK. I am not talking about a crazy big movie theatre, I am thinking about a 1 screened movie theatre with a consession stand and, the movie theatre is right in town.. Maby around the police station. Fewer banks and nail salons. It’s kind of a (not-funny) joke among residents that there’s going to be yet another bank!Great space could be used better–this Village Green does not draw you naturally to it. Glencoe could use a small hardware store in town. I would like to see the local businesses get more involved with supporting the community. Example – when there is a bike race, art fair – find a way to play this up in a positive way in your business. I think there are ways the Chamber/Rotary might even find to get more support for the endangered Farmer’s Market and 4 th of July Craft Fair. Our Downtown Ideas Chalkboard is a hit! Share your thoughts on what would make downtown Glencoe even better! I’m concerned about the amount of garbage that doesn’t make it to the waste receptacles in the down town area and the amount of waste that gets thrown onto peoples lawns all over the village but particularly around Central School. Perhaps a village wide awareness campaign and a few more receptacles would help? Better TREX recycling outside or Grand Foods or add other locations. Sign outside of Public Works building noting recycling dropoff location. More recycling containers in public areas — train station, baseball fields, commercial district. I think we need to figure out how to get more parking. I have even found the lot full that is behind the Grand when I finished circling trying to get street parking. The idea to tear down that home across from Friends Park and build a lot was an excellent idea and it is too bad it could not work out. Parking on the South side of town near the gas station is too inconvenient. 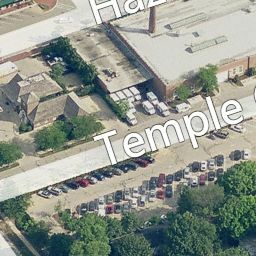 I think the lot that is at Hubbard Woods train station is multi-level without being an eyesore and is something we need, preferably in the middle of town. We have such beautiful pavers on the downtown sidewalks. How about finding a way to clean them of the salt residue after our harsh winter? 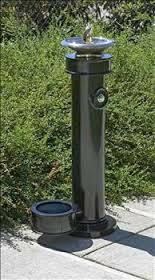 A public drinking water fountain in the downtown area to showcase our wonderful, award-winning water. The fountain could have a low bowl for our dogs as well, like the lovely fountain in Shelton Park. We need to find a way to help people coming from our train station to safely cross to Tudor Ct and to the new Writer’s Theater building. This encourage people to leave their cars at home. How about putting in a pedestrian “safety island” with flowers just North of the Park Ave and Green Bay Road intersection, and opening the wall west of the train station? 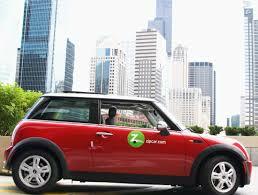 Let’s arrange a Zip Car or two near the train station. We need to help our downtown merchants with recycling. If the Village arranged a commercial recycling franchise agreement, and helped pay for it using our recycling rebate funds from SWANCC, we could reduce the number of recycling trucks moving through our alleys at all times of the day. This would help our small businesses, and reduce the amount of garbage the Village has to collect. Let’s plan for a new use for the Glencoe Post Office property. It takes up a whole block, and service eventually will be reduced. It would be fun to have post office services in one of our coffee shops or the Grand, as kind of a cozy “general store.” Then the Post Office site could be reused as a water plant location, should we need a new water treatment plant, and save our beaches for the public. We worry too much about parking. If there are concerns that there “isn’t enough” parking, why don’t we charge for the spaces closest to town, and make the more distant spaces (one block away!) free. We could use the revenue to improve our downtown landscaping, which is beginning to look tired. 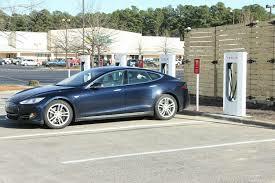 Let’s install a Tesla charging station. Our neighboring communities have them! We’ve got the nicest downtown on the North Shore and are lucky to live here. Among other things, the physicality of the layout of the downtown is ideal. I also appreciate the connection of the downtown to the park overlooking the beach at the end of the street and of course the beach itself. Downtown’s proximity to the lovely historic train station and the surrounding beautiful open spaces is another priceless amenity. Just hoping we don’t mess up by convincing ourselves that the town should be changed because of the new Writers Theater. Writers Theater picked Glencoe and we’re excited to have them. But to revamp the nature of the community for them would be a mistake. Yes, people want places to eat and to go and talk before and after the theater, but we shouldn’t try to ramp up too much. Remember, the plans for the theater do not include any additional parking and one of the joys of going to that theater is it’s easy access. We love the downtown. It’s pleasant and welcoming. We have a good thing going already. To improve its vitality, I believe a low key micro-brewery/pub type establishment will help. The kids would love an ice cream shop – note: Bobtails in Wilmette. I think downtown glencoe will be better with a pet shop, a toy store and, a public pool. This entry was posted on July 23, 2015 by Teska in Comments and tagged comments, feedback, glencoe downtown tuneup, ideas, photo sharing.